I’m not sure what to make of the Arsenal of 2017, another win salvaged after another rotten start. I’m not sure the ticker can take such a roller coaster of a ride, on paper it’s a victory but to witness performances like in the first half do not make for an enjoyable experience. The FA Cup is a different experience to the league games and a fired up lower league team will always be looking for a big scalp. 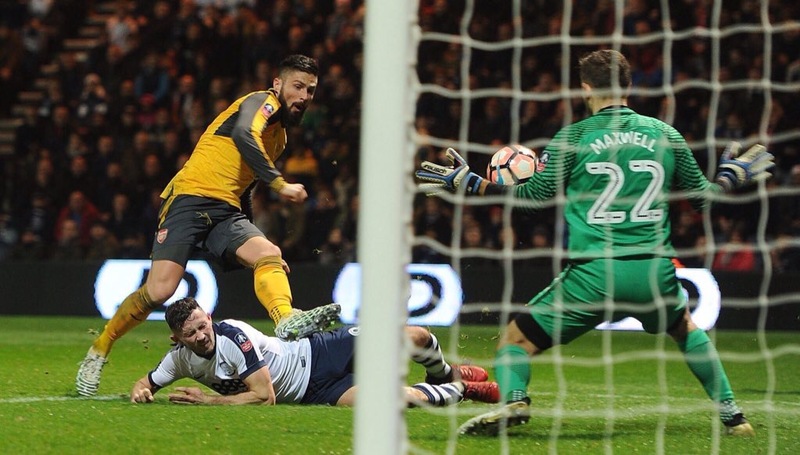 Preston North End were not going to lay out the carpet for Arsenal, it was a one off cup tie that could go anyone’s way on the day. It was no secret many of the Arsenal big guns would be rested and/or were injured and Preston smelt blood. The Bournemouth game is still fresh in the mind and it was a question of which Arsenal would start the game on Saturday night. Unfortunately the start was slow and after conceding an early goal it was a worry as to how many goals Preston would score. To say the team rode their luck is an understatement but rode their luck they did and having survived up to half time at just one goal down it worked in the Gunners favour. Arsene’s team talk at half time is probably one of the easiest he has had to make in his time at the club. The players will have known they were rotten but they had 45 minutes to prove they are far far better than the rubbish they displayed in the first half. 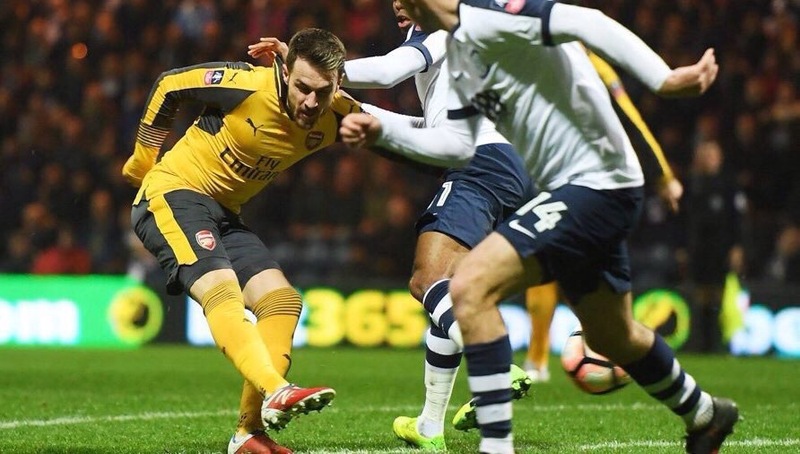 It needed a good start to get the belief back and it worked perfectly as Aaron Ramsey scored within a minute of the restart. The perfect way to deflate the momentum of belief the Preston Players had prior to the second half. It was a much better second half performance and once the equaliser went it you couldn’t help but think the winner would follow shortly. 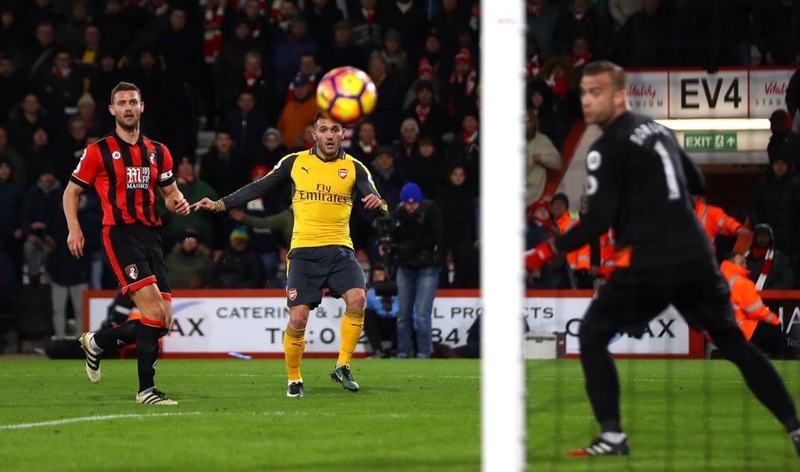 It didn’t exactly work out that way as it wasn’t until the last few minutes that Olivier Giroud finished off a quality back heeled pass from Lucas Perez to seal the tie and avoid an unwanted replay. So into the fourth round draw the Gunners go, they made hard work of it but unlike against Bournemouth a winner was found. Olivier Giroud again the key man up front, he’s now in a run of form that makes him un-droppable. Arsene has a dilemma on his hands once he has a fully fit squad to pick from. 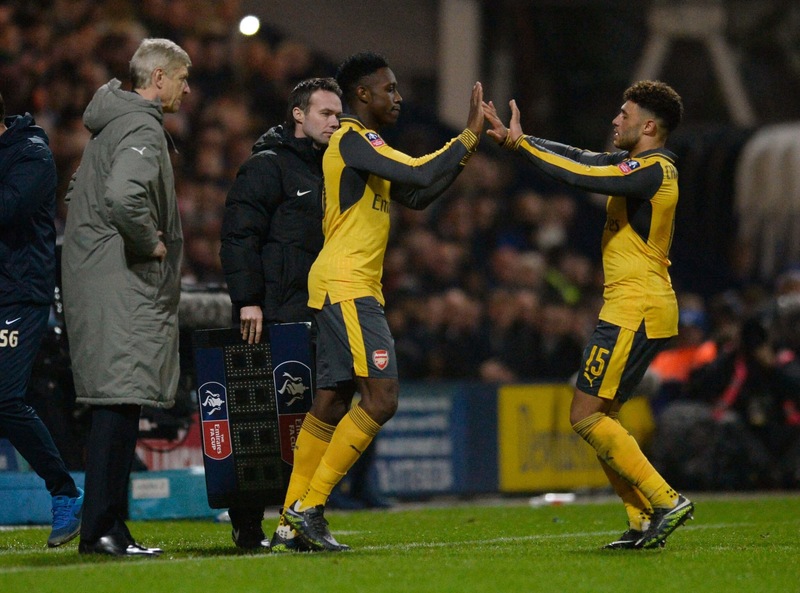 Danny Welbeck who it was great to see get a run out will add to the options up front. Hopefully a positive addition to the squad given the battle the club is in to gain silverware on three fronts this season. The games will be coming thick and fast and the wheels have slightly come off the Arsenal train since the injuries started to build up so players returning (and hopefully a signing) will aid the Gunners as they march on. We are in the next round, the cup is out the way for now, focus now turns back to the Premiership where it is hoped the poor starts are a thing of the past and Swansea will be a team that wont get a chance to even test us as we stamp our authority from the first whistle. Enjoy your day people! Yes it was a comeback; there are certainly some positives to list from salvaging a point from being three goals down but in the grand scheme of things the events of last night were a massive blow. 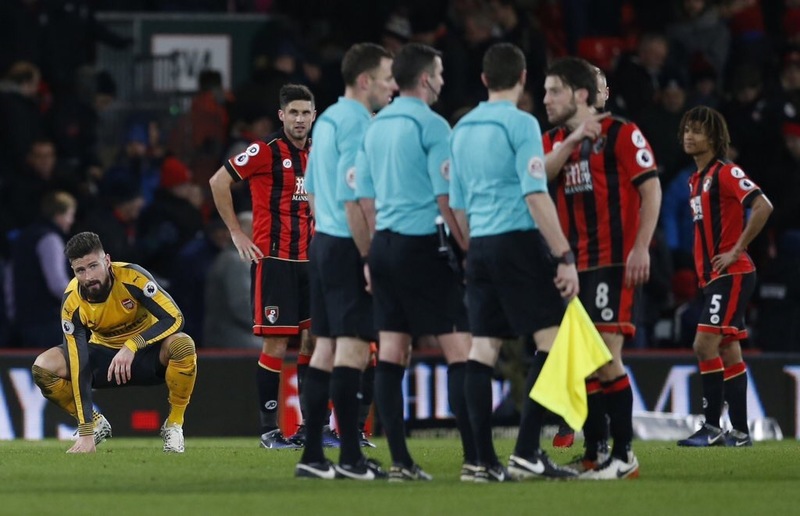 Losing ground yet again in the race for the championship only further strengthens the claims that maybe this Arsenal falls short on the required quality and strength to be genuine contenders. It should never be a case that Arsenal fans now sit down to watch a Spurs game in which a victory would be in their best interests. Yet here we are, not just falling behind in the race for first but now sucked back plump into a fight to stay in the top four. It can be argued that fixture scheduling has been unkind and Liverpool also suffered an away day set back due to the short window for recovery but on reflection you have to question why the effort to comeback couldn’t be applied prior to conceding three goals. Physical fatigue can handicap a performance but mental complacency cannot be excused. Watching the game in the first half you couldn’t help but notice a body language amongst the Arsenal players that screamed “rather be at home”. It’s never enjoyable to see the players not put in the effort and the final score at least showed signs of a change in attitude. It’s fair to say some of the decisions went against us with the goals, the penalty was harsh and the third goal despite a pathetic show of strength from Bellerin was effectively a foul but no matter how much decisions go against you, you never give up. That’s what it looked like to me from the outside, a sort of acceptance that it wasn’t their day from a few players. 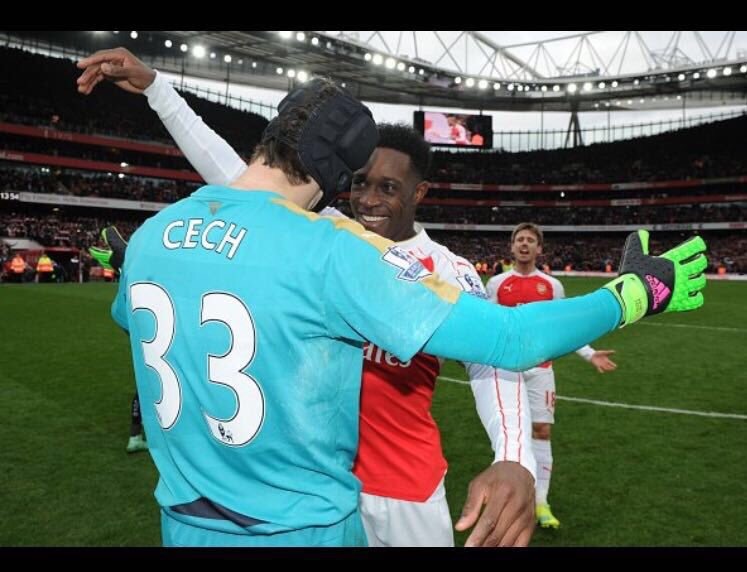 To rub further salt in the wounds seeing Ramsey arguing with Sanchez on the pitch was plain embarrassing. The team at the moment looks threadbare; admittedly Arsene Wenger’s team choice is forced given the loss of players to illness, injuries and international call ups. Maybe this game came at the perfect time given the transfer window has now opened. To be honest there is cover for most positions in the squad but how long can we continue without Santi Cazorla? The player is central to all our good play when Arsenal is firing on all cylinders. Without him there have been multiple combinations to plug the gap but none have quite filled the gap adequately. I am not sure how far Santi is from returning to the team but if the club has serious intentions to win the title this year than waiting for the injured star man to return rather than finding a sufficient replacement sums it up. I love Santi but the same thing happened last season and all our momentum derailed in his absence. There’s nothing to guarantee on his eventual return he may not break down again and that is why I feel business needs to be done to ensure a player is brought in to challenge Santi if not replace him. No one currently in the squad is of the level to fill the void and that there is the main problem. The defence did have an off day but each of the back four have proven themselves this season, the attack has brought the goals more often than not but the key department of the team which is the midfield engine room has been hit and miss. That extra bit of quality that separates Arsenal from being a good team to a serious title contender is missing and it needs to be addressed before the leading pack are too far out of sight by time the Arsenal get it together. Please Arsene, make a signing to make us not miss Santi, I know it seems harsh but I honestly believe one of our biggest Achilles heel is the unbreakable bond of respect shown to players in the treatment room. Returning players become like a new signing way too often when in reality returning injured players become more like signing a new injury prone player. OK, enough of the negativity. I will sign off by congratulating the team on coming back from three goals down, congratulate Olivier Giroud on his continuing to justify his inclusion with vital goals and assists, congratulate Sanchez on his vital goal and continuing to give his all despite being shunted from his central striker position and I would like to congratulate Lucas Perez on getting his first premiership goal and playing his part in the comeback. Teams don’t often come from three goals down and to think that despite pulling back level Arsenal fans still felt disappointed that all three points weren’t gained shows the belief the fans have in their team. Rival fans will have to delay their visit to the Arsenal Fan TV YouTube page for another time. For now, let’s hope things get put right with a win at Preston and away to a rejuvenated Swansea team. Until then enjoy your day people. A game that will be remembered for that goal more than anything else. The terminology of ‘Scorpion kick’ was something I only associated with Rene Higuita’s audacious piece of skill during a friendly against England many years ago now in the space of a week it’s the term of choice to describe the jaw dropping new way to score a special goal. To be fair the one from Mik.. Miki..Miktarian the Armenian midfielder and Giroud’s one yesterday were both pieces of individual spontaneous excellence that they should be appreciated for what they are rather than debating which was onside better. Fantastic goal aside the most important thing was getting the three points against Crystal Palace, regardless of their erratic form this was a potential banana skin for the Gunners. Under new management it can always be a dangerous time to play a team as all the players have a point to prove to earn their place in Big Sam’s plans. Additionally there was added pressure on the Arsenal players to get the win to keep up the pace with Chelsea and Liverpool and fend off the chasing pack knowing all the rival teams’ bar Man City gained maximum points. The points were gained however goal difference could play an important part come the final stages of the season and if there is one criticism I have to throw at the team it was the lack of killer instinct to really put Crystal Palace to bed. Yes the performance was comfortable and yes there is another game in a matter of days but it would be far easier to take your foot off the gas in the game once the club are three to four goals up. It seemed the magic of Giroud’s goal set a feel good mood amongst the players and the fans but any sign of urgency was muted. The team played it safe and you could sense that a search for a second goal wasn’t high priority. Crystal Palace has been wretched of late but they are still capable of putting the ball in the back of the net. I wouldn’t say it’s a vote of no confidence to say keeping a clean sheet is far from impossible for the Arsenal but the team has got the capacity to fall asleep at the back when they are at their most comfortable. The first half petered out very comfortably and I have to admit it was worrying that the mindset of the players might get complacent in the second half. On the plus side the team did come out in the second half more determined to get a second and kill off the game unfortunately the other Achilles heel reared its ugly head: profligacy. Many chances came and went, Alex Iwobi did eventually put the ball in the net to calm a few nerves but when the final whistle did eventually blow you couldn’t help but feel Palace were let off in a game which could easily has ended with four or five goals for the Gunners. At times it seemed like Crystal Palace players were trying their best to gift the team goals but they were politely declined each time through wasteful finishing. Like I mentioned the win was the most important thing and the finishing aspect is just a slight frustration because at times this season we have seen our rivals up against similar and they have been ruthless. It would be nice to see this Arsenal team show no mercy a bit more often, all will be forgotten if we beat Bournemouth in the next game. You may have noticed I have risen from the ashes to provide a blog post, 2016 has not been the most fruitful year for this site but I hope to put that right in 2017. Start the year as I mean to go on… commenting on Arsenal victories. 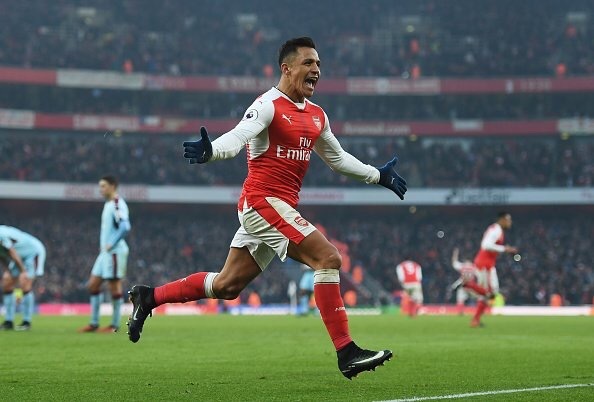 With Giroud now starting and scoring in games is it hindering the influence of Alexis Sanchez? Flamini returned yesterday but do you recall seeing any contribution he made in the game? Mustafi is now back, does he replace Gabriel now that the Brazilian has finally settled in the team? Feel free to discuss in the comments section. Other than that enjoy your day people! Now that is the way to end a game, to win with effectively the last kick of the game you would struggle to find a scenario which can be bettered in football. It may not be the winner on the final day of the season but when you consider the turn of events during the game the relief, joy and ecstasy experienced in one special moment will live long in Gunners’ fans memories. The fact that it was Danny Welbeck who got the winner made for a Hollywood script in its execution. Other than the fact that many Gunners fans most likely spent the rest of their Valentine’s day with a loss of voice I’m sure the spouses of those very same fans will have enjoyed the company of their partner in one of the best moods of their lives (well, those who didn’t decide to celebrate the victory down the pub for the rest of the day). 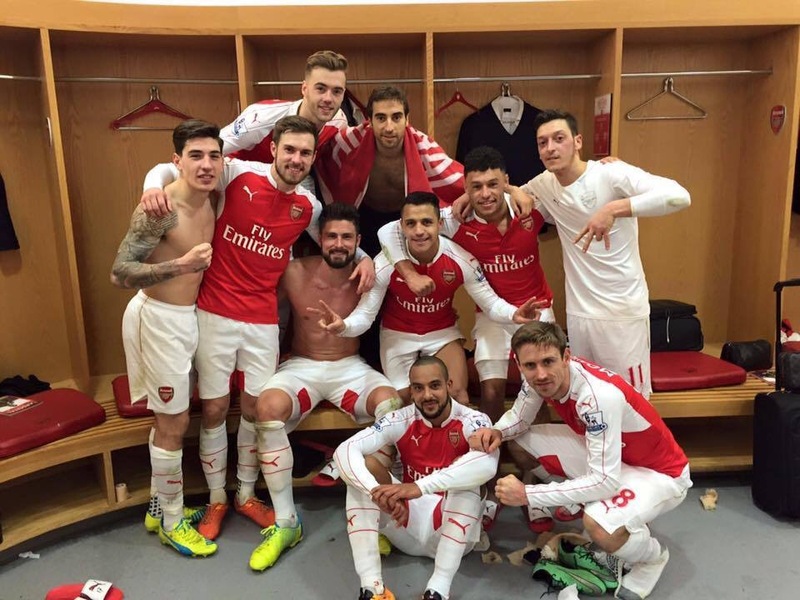 Leading up to this game the pressure was on the Gunners to get a result to avoid losing touch with Leicester. Home advantage meant little, you only had to see Leicester’s result at the Etihad last week to realise that Arsenal were coming up against a team in top form playing with no fear whatsoever. 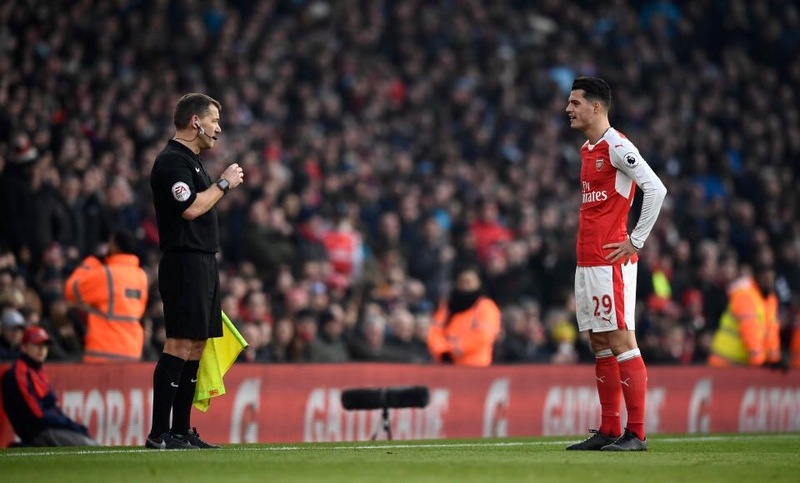 Much talk was over how the Gunners would cope with the pace of the Leicester attack and the overwhelming consensus was the choice of Gabriel to partner Koscielny at the back was best to deal with the threat of Vardy, Mahrez et al. About an hour before kick-off news filtered through that Gabriel was in fact injured and Per Mertesacker had returned to the line-up. Not the news everyone wanted to hear however it is easy to forget Mertesacker has got to where he has in his career never having pace. Reading of the game and 100% focus is equally important and I stand corrected for also having kittens when the team news first broke. Generally we did ok handling the pace of Leicester, understandably the red card to Danny Simpson made defending somewhat easier in the second half but it is those very moments in the past where Arsenal have shot themselves in the foot from a comfortable position. You need to be focused, well organised and concentrate at all times to reap the benefits of the victory gained. Not forgetting Koscielny was replaced at half time and the slightly raw and less pacey Callum Chambers replaced him. The chances that Leicester did create were more down to great build up rather than exposing any lack of pace. This post is less focused on providing a match report and more focusing on the key points of the game so it is definitely worth touching on Ozil’s performance. Now if I’m being honest yesterday happened to be one of the worst performances I have seen from Mesut Ozil in a long time. I am one of his biggest backers and this season has certainly been one of his best in an Arsenal shirt but yesterday absolutely nothing was coming off for him. Every neat flick and trick did not come off; he dwelled on the ball that micro-second longer than usual which resulted in him getting dispossessed in good positions and his head seemed to drop at the frustration. I do not even recall hearing his recent chant being heard from the stands and that can only be testament to a performance below the excellent high standards which have been set. 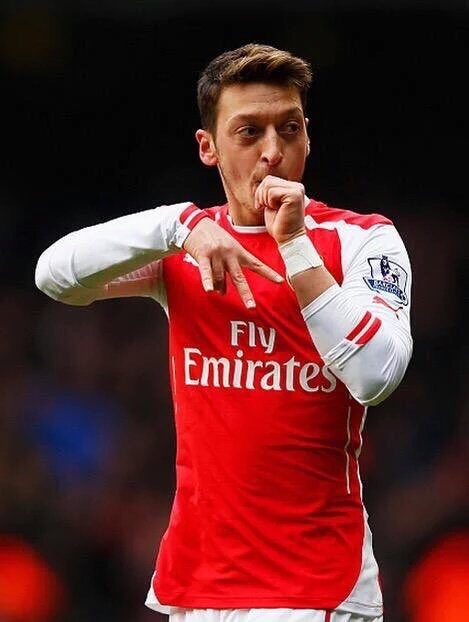 Having said that the key assist to the winner came from the very boot of Mesut Ozil. If anything it proves that when you have class players on the pitch even if they are having a bad game there is always the possibility of that one piece of quality that can be produced to win you the game. Take your star player off at your peril, well done Arsene on keeping the faith. Special notice goes to Danny Welbeck for his fantastic winner after such a long time out injured. He may not be everyone’s cup of tea but he certainly endeared himself that little bit more to Gunners fans in his time with the club. His naming on the bench came as a surprise given Arsene’s caution in handling his comeback but at the final whistle the choice was justified. The tough games are coming thick and fast with Man United, Barcelona and Spurs game not too far away it hits home how important 3 points were yesterday. It is hoped the recent blip is now behind the Arsenal and a chance to prove true title resolve will be taken with both hands.